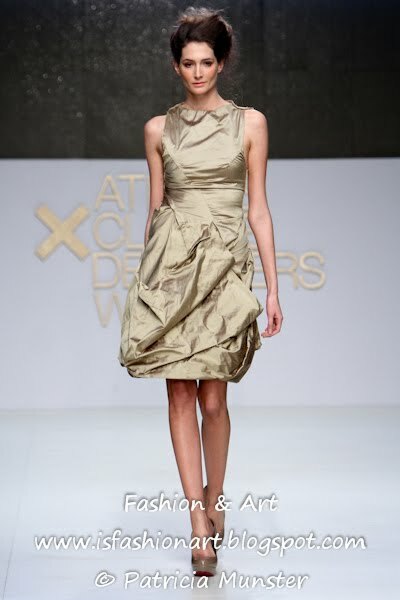 The second day of the 12th Athens Xclusive Designers Week at Ethniki Asfalistiki Conference Center in Athens was all about new talent. 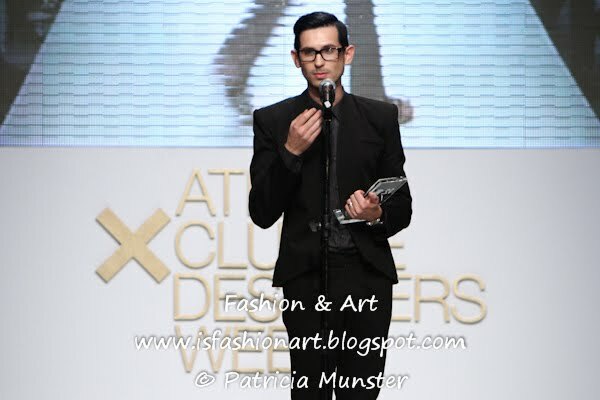 Eleven new fashion designers competed for the awards of Fashion Xporter, Best Catwalk, Best Trendsetter and Best New Designer. Carmen Emanuela Popa, E.L.R by Irene Lytra, Eleni Kyriacou, F.A.K.E. 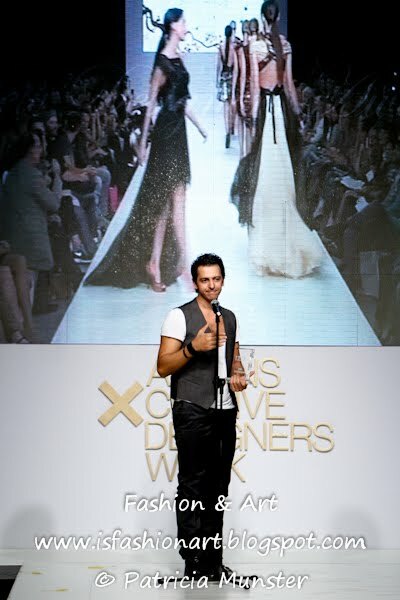 couture by e-outfit.com, inSomniac by Spiros Stefanoudakis, Pixie Mud Designers, Polina Argyrou, Runway by Manos Caravlidis, Stylianos, Victoria Sarri by Fashion Erotokritos and Yura Tsu are the participants each which his or her own style. 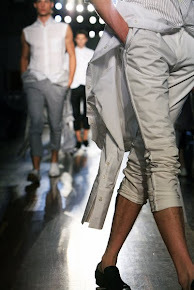 Here a glimpse of their collections and keep reading for the winners. 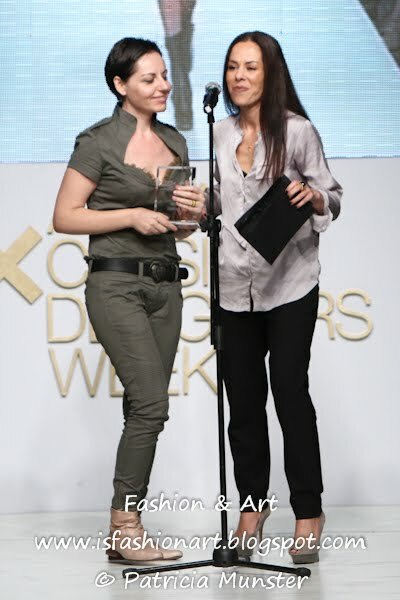 The award for Best Trendsetter is for Pixie Mud by Pamela Sietos and Mary Theodorakakis handed over by Victoria Konstantinou, PR manager at MTV. 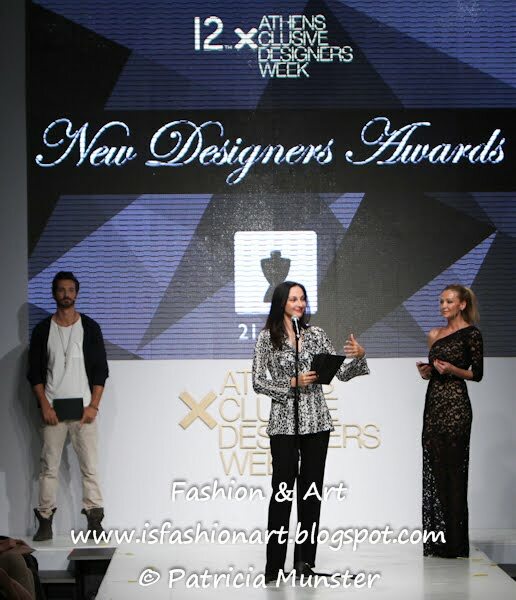 The award is handed over by Katerina Gouma, owner at Underground, Stylianos can produce for this store a capsule collection.